Since 1995 Dogfish Head Brewing has crafted a wide variety of unique and flavorful beers. Through their dedication to Off-Centered beer crafting and community support, sponsoring events like the I Pedal A Lot cycling event, the Dogfish Dash 8K road race and numerous others, their following has grown and so has the demand for their products. 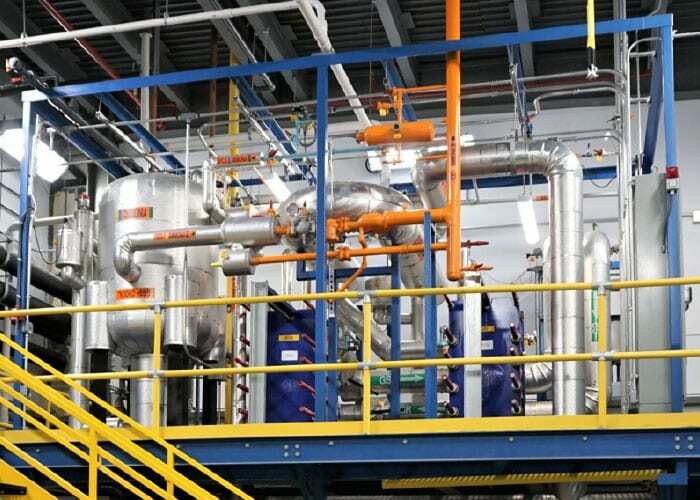 Thanks to an increase in loyal beer drinkers, the brewery required a new refrigeration system to expand their brewing capacity. 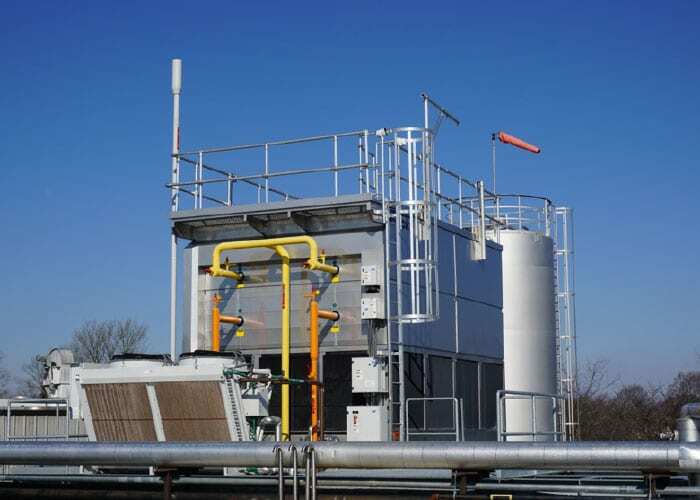 To accomplish this RD&S designed a low charge ammonia glycol chilling package. 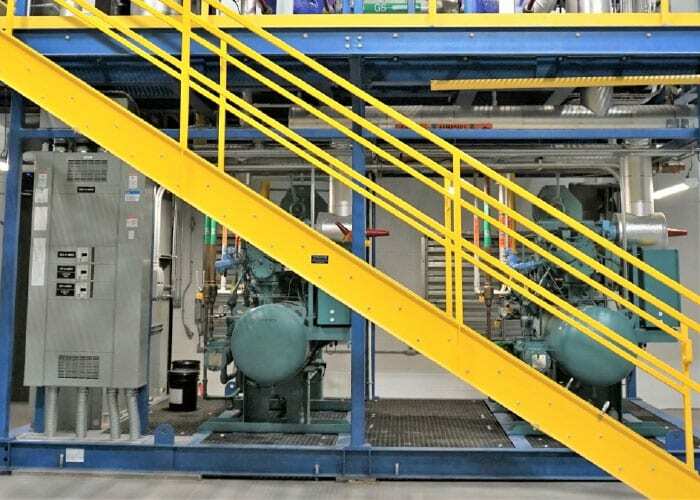 This package consisted of pre-manufactured equipment skids containing Frick RXF-101 screw compressors, Alfa-Laval semi-welded plate heat exchangers, vessels, and electrical/control system components. 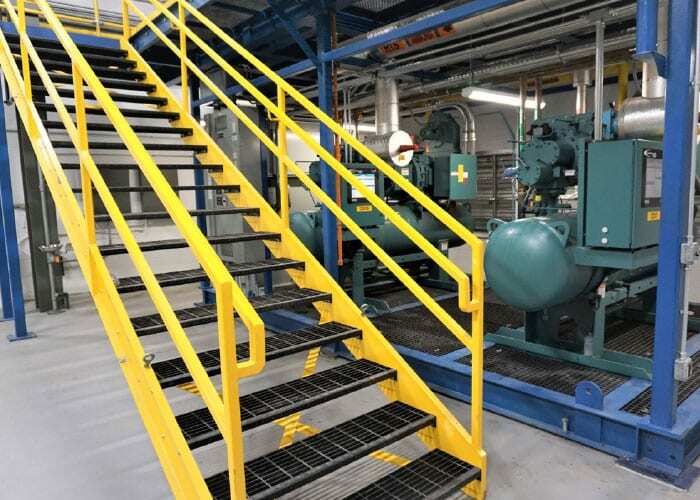 The skids were then interconnected with the site installed Frick Ecoss condenser and Guntner adiabatic cooler, used for the compressor oil cooling. 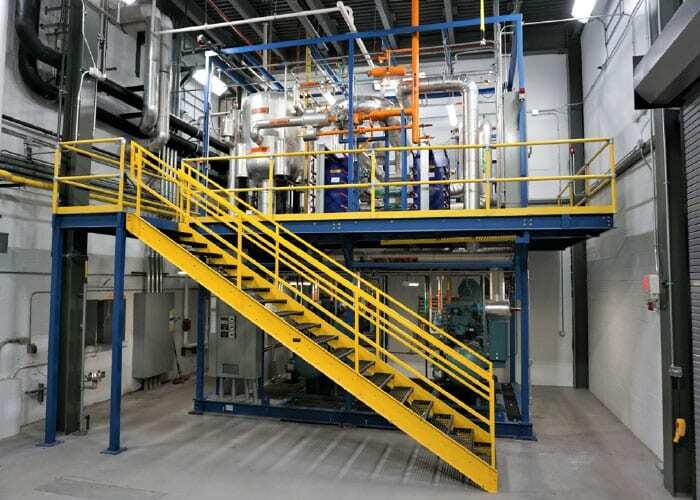 These efforts resulted in 1.5 pounds of ammonia per TR refrigerant charge. 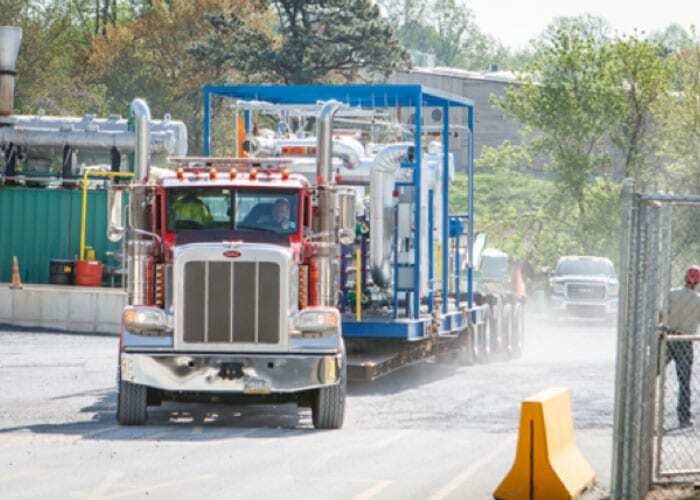 Pre-manufacturing of the refrigeration skids, in the RD&S fabrication shop, gave us the flexibility to complete the Dogfish Head skids while the utility building was being constructed, thereby minimizing the project completion timeline. Stacking the skids saved floor space in the utility building. Notice the staircase is hinged at the top landing to enable easy removal of large refrigeration components from the lower skid. 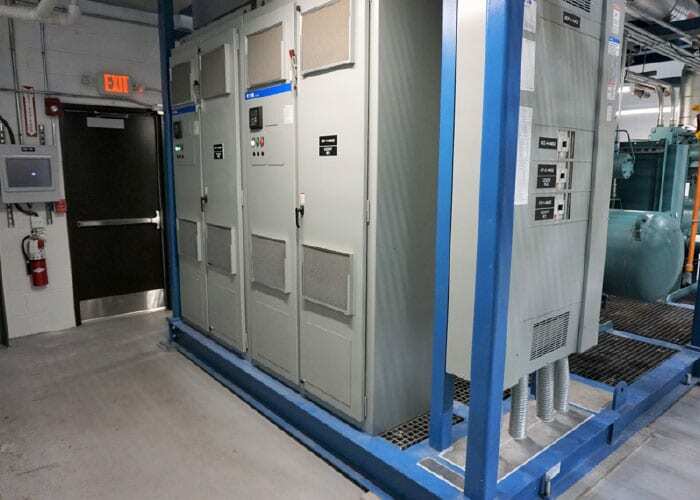 Floor Level electrical components include power distribution panel and compressor drives. 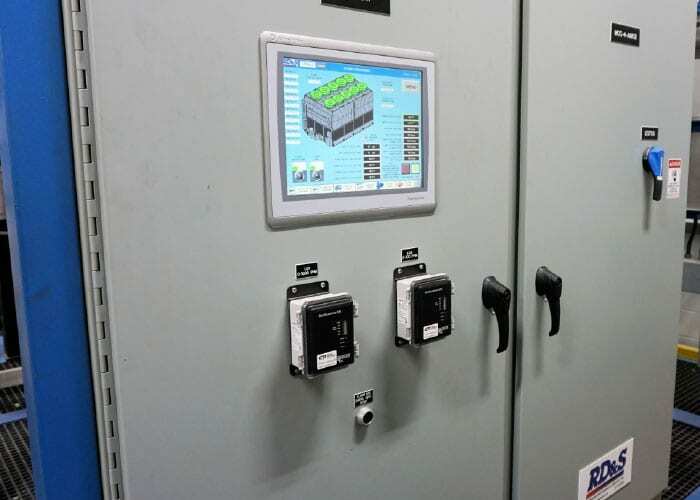 Second Level electrical components include the main control system panel. 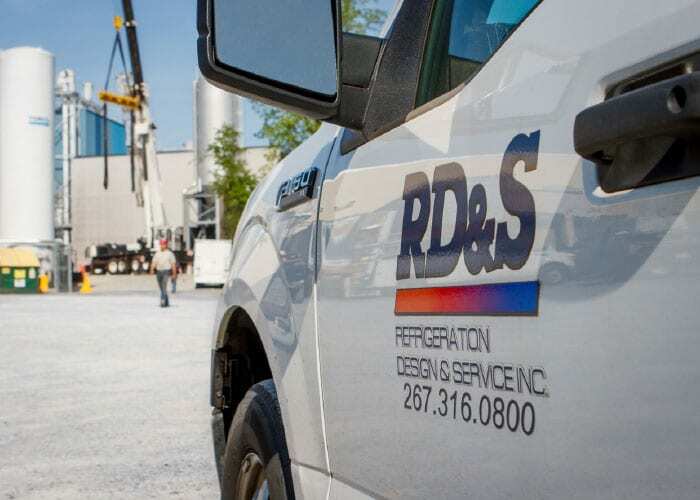 RD&S is always ready to address your refrigeration needs.